#275 Tour de M25. 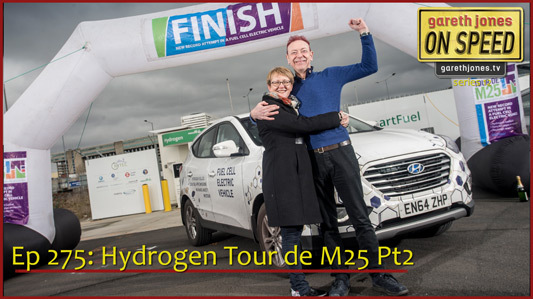 Pt2 Tension builds as Gareth drives a record breaking final lap of the M25 to set a new distance record for a hydrogen fuel cell car. Robin Hayles from Hyundai explains why they took this challenge and what they plan next.